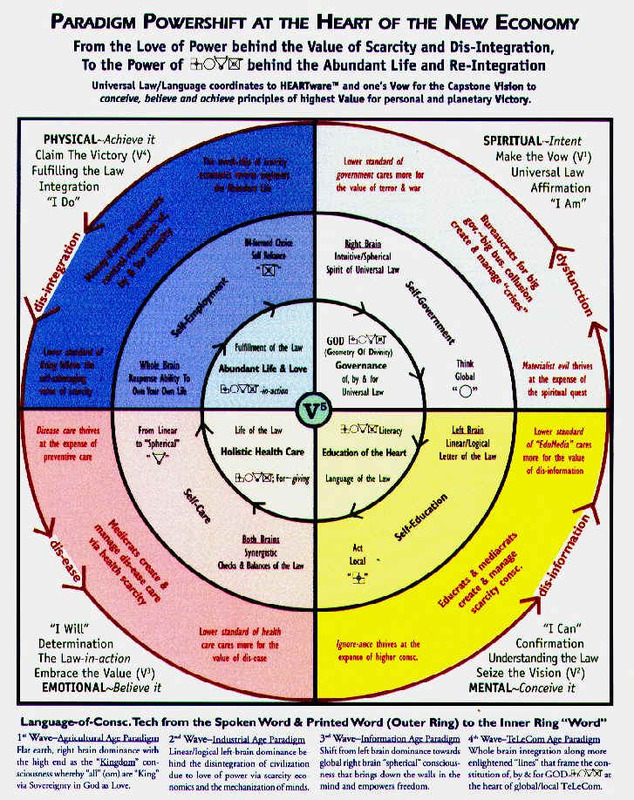 where the universal law language of light and golden rule always rules. Note that the outer circle is the 'outer world' and the inner circle is within you. The negative spin of the ‘outer world’ is a downward spiral; devolution. with enlightened social conscience - Web 3.0.